Facebook — Mark Zuckerberg, CEO of the little social network site called Facebook, announced an integrative deal with video chat juggernaut Skype which will allow Facebook friends to connect to each other via video chat. So now you can actually see the look on your acquaintances’ face as they glower creepily over your family’s Christmas pictures. Leno, Jay — Tonight Show host Leno, cashing in on the “comedy gold” (ahem) of Tuesday’s Casey Anthony verdict, cracked jokes about the Florida jury who acquitted her of murder on his Tuesday night broadcast — and was met with near silence from an unamused audience. Though to be fair, many men and women over 85 suffer from hearing loss, so they just may have missed the joke altogether. Pitchfork — The minds behind the über-hipster music website Pitchfork and the annual music festival sponsored by the site have announced plans to bring another festival in Paris, France, according to the New York Times. “When we were looking for a new location, we made sure to figure in our pretentious nature and snooty attitudes,” Pitchfork brass are reported to have said, “so France seemed like a perfect match.” A current working title for the get-together is “Nostrilpalooza,” as virtually everyone within the festival’s perimeter will assuredly be looking down their nose at you. Sheen, Charlie — The former Two and a Half Men star and current ballyhooer of tiger blood and machetes has been announced as the guest of honor at Comedy Central’s next televised roast, and network honchos claim that Sheen has told them “nothing is off-limits.” Former Comedy Central roastees include Pamela Anderson, David Hasselhoff and Flavor Flav — so yeah, I’d say Sheen has now been forgotten long enough to join that esteemed group. 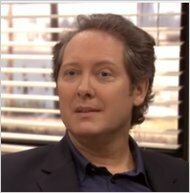 Spader, James — NBC announced yesterday that none other than 80’s smarm-meister James Spader will be joining the cast of The Office as the new manager at Dunder Mifflin, taking over Steve Carell’s recently vacated office. It’ll all be fun and games until the snobby, rich kid Spade gets Phyllis hooked on a very expensive coke habit and sends her spiraling out of control into Scranton’s club scene as her high school friends look on helplessly.